Thanks to everyone who came out on Sunday to our first event of the Winter/Spring season, the Open Mic. Our next events are during AWP. First, on Friday, Maxine Hong Kingston appears (see below). Tomorrow I'll post on our Sunday event. Maxine Hong Kingston, the acclaimed author of The Woman Warrior, will visit The Writer’s Center to read from her most recent work, the memoir I Love a Broad Margin to My Life. A highly distinguished fiction and non-fiction writer, Kingston has been awarded many of literature’s top honors, including the National Book Award, the National Book Critics Award, the presidentially conferred National Humanities Award, and, most recently, the Medal for Distinguished Contribution to American Letters. Call 301.654.8664 for tickets, or visit www.writer.org. In I Love a Broad Margin to My Life, Kingston uses Walt Whitman-inspired free verse to revisit characters and themes from past works, and to reflect on her life and journey thus far. Other noteworthy titles include: The Woman Warrior: Memoirs of a Girlhood Among Ghosts , China Men , Tripmaster Monkey: His Fake Book , and The Fifth Book of Peace. Washington, DC—Robert Caro will deliver the keynote address at the 2011 Compleat Biographer Conference on May 21 at the National Press Club in Washington, DC. Prior to his speech, he will be receive the 2011 BIO Award, given each year by members of Biographers International Organization (BIO) to a colleague who has made a major contribution to the advancement of the art and craft of real life depiction. Biographer Stacy Schiff, author of the best-selling Cleopatra, will be featured in an interview during the end-of-the conference reception and book signing. The Compleat Biographer Conference will bring together biographers from around the world for a daylong series of workshops focused on the practical aspects of biography ranging from research techniques to writing methods, from marketing to social networking. The conference will be preceded by a series of research workshops, at such important institutions as the Library of Congress and the National Archives, and a glamorous reception at the home of one of the city’s leading biographers. It's that time of year again: Time for Bethesda Urban Partnership and Bethesda Magazine's Essay & Short Story Contest. Winners will be honored at the Bethesda Literary Festival, April 15-17, 2011. Deadline to submit is February 25, 2011. Topic: Have you encountered a moment of epiphany, as if your eyes were opened to something you were previously blind to? Describe this experience. Requirements: Essays should be limited to 500 words or less. Submissions must be sent via email as Microsoft Word attachments to essay@bethesda.org. The writer's full name, mailing address, phone number, and email address must be in the email and on the cover page of the story itself. Submissions without this information will be disqualified. Eligibility: Residents of Washington, DC, Maryland, and Virginia are eligible. The contest will take entries in two categories: Young Adult (grades 9-12) and Adult (ages 18 +). Writers must specify whether they are entering the young adult or the adult contest. Questions? Please email Lpatterson@bethesda.org or call 301.215.6660, Ext. 42. Requirements: Stories must be limited to 4,000 words or less. Submissions must be sent via email as Microsoft Word attachments to shortstory@bethesdamagazine.com. The writer's full name, mailing address, phone number, and email address must be in the email and on the cover page of the story itself. Submissions without this information will be disqualified. Eligibility: Residents of Montgomery County, MD and Upper NW Washington, DC only are eligible. The contest will take entries in two categories: Young Adult (grades 9-12) and Adult (ages 18+). Writers must specify whether they are entering the young adult or the adult contest. Questions? Please email katryn.norman@bethesdamagazine.com or call 301.718.7787, Ext 207. First place: $500 and published in Bethesda Magazine. The first place winner in each contest will also receive a gift certificate to The Writer's Center. Each second, third, and honorable mention essay and short story will be published on the Bethesda Magazine and Bethesda Urban Partnership Web sites. Young Adult winners receive: $250, first place; $100, second place; $50, third place. Bethesda Magazine will print the first place essay & short story. Genres have always been developing in response to changes in human culture. Epic poetry is no longer a hot item, the novel didn’t get jump-started until the 18th century, and the short story didn’t show up until the 19th. No big surprise that as we move into a super-accelerated age, genres will morph or combine in ways we’ve yet to imagine. Sure, readers buy books for their entertainment value, though I’m not sure you can put a dollar amount on that. We always want art to entertain, as well as instruct, amaze and all those other possibilities. But we’re all entertained differently. I don’t want to read “Twilight” or “The DaVinci Code” any more than the fans of those books probably want to wade through “Quarantine” or “Under the Volcano.” So I think it’s important for writers to avoid trying to outguess the market, a tactic which doesn’t work anyhow, but to write what engages and therefore entertains them to the highest degree. I mean, hey, if you’re not entertained by your own book, your readers are going to be really, really bored. I also think it’s interesting to consider what’s happening to us as humans that will be reflected in the new shapes of our art. Already personal tech devices and an onslaught of sensory input have affected attention spans and possibly the way people think. When we’ve gotten used to listening to a newscast while reading the weather report streaming across the bottom of the screen, then graphic novels or art installations that come with audio are rather natural extensions of this brave new world multi-tasking. But again, none of us can predict exactly how this is going to work; better to write what you care about and keep open to new forms that might fit with your style. Personally, I think entertainment value has little to do with it. We are in an era when hybrids of all kinds are essential parts of our lives: phones that check email. Game consoles that stream movies. Print magazines with online content. In some regard, I think it's very exciting to play Dr. Frankenstein and mix elements of different genres to see what you can create. But I also think that as writers, we have some sense that much has already been done by writers before us. It was barely 100 years ago that Ezra Pound admonished us to "make it new." Why stop trying to make it new? There's no reason yet. Crossing genres is just a recent innovation--as our technologies change, our interests wander, I'm sure we'll find new and ambitious ways to keep writing interesting. I was one year out of college, working as a secretary in New York, just another English major who wanted to be Jane Austen, when my roommate’s boyfriend, a writer of westerns that sold, arranged a meeting for me with his agent. Mr. Raines held a folder in his hands, in it a few of my short stories and a poem. He said something negative about the stories that I don’t remember. Then he picked up the poem and said “Now this. Write me two-hundred of these, and we’ll do a book!” I’d had one poem published, in my college newspaper, one of those youthful rants about the poor in an unjust society, but what I really wanted to do was write stories. Why was it so hard? Should I shift gears? I decided to take the agent’s advice. Shortly after that, I won honorable mention in a sonnet contest. And then I gave it all up. Marriage and family, a Catholic girl’s dream, altered everything. A slew of love poems to my fiancé, one to my firstborn. That was all. It wasn’t until my older boys were in school that I realized, like Miss Clavel in Madeline: something is not right. I had been denying my creative side long enough. But what to do? Paint? Write? I could paint, but not as well as my brothers. I could write, but I’d sold my Olivetti when we needed cash. No real writer does that, does she? To paint meant having oils and turpentine around the house. My youngest son, ever curious, had been known to swallow toxic substances. Pencil and paper were far safer. And thus my poetry was born again using a number 2 Ticonderoga pencil and a stenographer’s notebook. Moon and Mercury was published in 1990, and then, seven years later, a chapbook, Troubled by an Angel. Though there were times when I wondered why am I doing this, somewhere in all those years I had an epiphany: I couldn’t not write. I continued to send out, encouraged by publication of individual poems and occasional prizes. My full-length manuscripts were finalists and semi-finalists. I refused to give up, but also kept my expectations low. In late January 2010, I received word that Grace Schulman, a poet I greatly admire, had selected Zorba’s Daughter for the 2010 May Swenson Award. It had been a finalist four times in other contests. Now at last it had won. I couldn’t believe the news. Even when the book was in the final stages of production, I kept asking myself is this really happening? Zorba’s Daughter was published in June, barely three months after my chapbook, Out-patients. There had been a long wait. Now there were two books in one year; I was either very lucky, very blessed, or both. In the fall of 2010, I did a book tour, reading at Utah State, Brigham Young, and the Humanities Council in Salt Lake City. I also did a radio interview for Access Utah, and was officially presented with the award. “When everything goes wrong, what a joy to test your soul and see if it has endurance and courage! An invisible and all-powerful enemy—some call him God, others the Devil, seems to rush upon us to destroy us; but we are not destroyed." These two quotations reflect the themes of spiritual struggle and survival that pervade the book, themes I thought were exemplified by the cover art, a sculpture of “The Flute Player” by Camille Claudel. The flutist is completely absorbed in her music. How fitting, then, that she appear on the cover, to tempt the would-be reader, first the eye, and then the hand--to turn the pages of Zorba’s Daughter. Elisabeth Murawski is the author of Zorba's Daughter, winner of the 2010 May Swenson Poetry Award, Moon and Mercury, and two chapbooks, Troubled by an Angel and Out-patients. Hawthornden Fellow, 2008. Publications include The Yale Review, Southern Review, Field, Denver Quarterly, and others. A member of The Writer's Center since its Glen Echo days, she resides in Alexandria. A former student of mine wrote me a long lost hello recently on Facebook, in part reflecting upon a bit of advice I’d given the young writers in the class, when it came to the serious pursuit of writing following graduation. The student, a lovely young woman in the possession of considerable talent, graduated from college about ten years ago, and had set out to find a job, or series of jobs, in accordance with my advice—part of a “holy trinity” to which all serious writers must gravitate at some point in their literary careers. That is, every writer must write at regular intervals, read hungrily, and be a regular participant in an artistic community. Pursuing the proper sort of job can be an essential component in this system, and in a strange way, there may be more opportunities for this sort of employment now that our economy has failed to rebound as vigorously as some had predicted. To write in regular blocks of time, each week, writers must engage the sort of employment that would permit, for instance, three or four mornings in a row of thoughtful, uninterrupted work. In fact, I ask participants in my college and community courses to consider the very time of day during which they will be most productive and then discover work opportunities that would permit freedom during those stretches. Restaurant work, for example, can provide a couple hundred dollars per night, and can leave the writer ample time, mornings and afternoons, several days per week. I’m reasoning—without any scientific support—that our economy has more short-term, non-benefit positions to offer, at the moment, rather than long-term posts rich in salary, benefits, and climbing-the-ladder time demands. The more thrifty the setup—rent, bar tabs, et cetera—the less one has to work, to earn the money to pay the bills. The reading part of the equation should go without saying, except that a young writer should be immersing herself in classics both old and new, and sometimes to discover those texts, it’s important to participate in the exchange of ideas typically found in a community of writers. The Writer’s Center, for example, offers many avenues for community—it hosts workshops, readings, and other events, connecting participants with instructors and other participants, oftentimes spinning off private groups that continue to read and write beyond the course’s conclusion. Perhaps just such a group will spin-off from my next TWC workshop, “The New Language of Poetry”, but either way, participants should know that D.C. features a rich crop of alternative, ground-breaking poets, many of which can be found, regularly, at events listed on the www.dcpoetry.com Web site. “All the crazy jobs we’ve ever held” is a regular topic of conversation, and my former student could chime in, as she continues to fight the battle between time, jobs, and the very necessary work of producing topnotch new writing. Dan Gutstein’s writing has appeared or will appear in more than 65 publications, including Ploughshares, Prairie Schooner, The American Scholar, TriQuarterly, The Iowa Review, and Best American Poetry. A first collection, Non/Fiction , appeared in 2010. He has received grants from several organizations, including the Maryland State Arts Council. He currently works at Maryland Institute College of Art and The George Washington University, and has previously held positions in economics, editing, theatre, and journalism. He has taught tae kwon do and done farm work, as well. Join The Writer's Center workshop leader Michele Wolf to celebrate her newest poetry collection, Immersion--selected by Denise Duhamel for The Word Works' Hilary Tham Capital Collection--with a reading/book-launch party at The Writer's Center on Sunday, March 13. Before that, catch her in February at readings during the AWP conference (open to the public, 2/4), at Iota Club and Café (2/13), and at the Library of Congress (2/15). Closest Metro stop: Woodley Park Towers is a 10-minute walk from the Cleveland Park Metro. Walk south on Connecticut Avenue; turn right on Devonshire Place. The building’s main entrance is just past the fountain; ask for directions to the Party Room. From the conference hotel: The building is a 12-minute walk from the Marriott Wardman Park conference hotel. As you leave the hotel, turn left onto Connecticut Avenue and walk north, passing the National Zoo on your right. Turn left on Devonshire Place (just before the bridge); on the right you'll see the Woodley Park Towers. *SUNDAY, FEBRUARY 13, 6 p.m. Closest Metro stop: Clarendon (Orange Line). When you come up the escalator, you’ll be at the intersection of Wilson Boulevard and Highland Street. Cross Highland Street and walk down Wilson against traffic (it’s one-way coming toward you). Iota is two and a half blocks down on your right. Closest Metro stop: Capitol South (Orange and Blue lines). Exit the station using the main exit. Walk approximately two blocks north on First Street SE. The Thomas Jefferson Building is between Independence Avenue and East Capitol Street. Michele Wolf is the author of Immersion (selected by Denise Duhamel, Hilary Tham Capital Collection), Conversations During Sleep (Anhinga Prize for Poetry), and The Keeper of the Light , (Painted Bride Quarterly Poetry Chapbook Series award). Her poems have also appeared in Poetry, The Hudson Review, North American Review, Antioch Review, Boulevard, and numerous other literary journals and anthologies. She serves as a contributing editor for Poet Lore. Visit her new Web site. The Writer's Center is proud to be a co-sponsor of this massive reading, which promises to be pretty incredible. If you're looking for great off-site AWP events, this would be a good place to start. WASHINGTON, DC— Some of the LGBT community’s most talented and dynamic writers converge in the Nation’s Capitol for a night of rapid-fire readings. “3 Dollar Bill,” the Queer Reading at the 2011 Association of Writers & Writing Programs Conference, gathers thirty LGBT writers of poetry and prose who will each read two minutes of their work. The event will take place Thursday, February 3, from 7:30-10:30 pm at the Human Rights Campaign Equality Forum (1640 Rhode Island Avenue NW, in Washington, DC). “3 Dollar Bill” is sponsored by Arktoi Books, BLOOM Literary Journal, Human Rights Campaign, Knockout Literary Magazine, The Lambda Literary Foundation, A Midsummer Night’s Press, The Publishing Triangle, Sibling Rivalry Press/Assarcus Journal, Sinister Wisdom Literary Journal, White Crane Institute, and The Writer’s Center. The full list of readers includes: Francisco Aragón, Ilse Bendorf, Tamiko Beyer, Regie Cabico, Monica Carter, Cynn Chadwick, Sela Chavez, Julie Enszer, Danielle Evennou, Gina Evers, Reginald Harris, Charles Jensen, Saeed Jones, Eloise Klein Healy, Rickey Laurentiis, Paul Lisicky, Michael Montlack, Eileen Myles, Kristin Naca, Achy Obejas, Christa Orth, Minnie Bruce Pratt, Radclyffe, Jason Schneiderman, Joseph Shapiro, Ely Shipley, Griselda Suarez, Justin Torres, Dan Vera, and V Wetlaufer. Admission to the reading is free and open to the public. Book sales will take place during intermission and after the event. This is an off-site event being held in conjunction with the Association of Writers & Writing Programs Conference, held annually in a different U.S. city. Arktoi Books, an imprint of Red Hen Press, was established in 2006 by Eloise Klein Healy to publish literary works of high quality by lesbian writers. The mission of Arktoi Books is to give lesbian writers more access to "the conversation" that having a book in print affords. BLOOM was founded to support the work of lesbian, gay, bisexual, and transgendered writers and artists and to foster the appreciation of queer literature and creation. Knockout was founded in 2007 by Jeremy Halinen and Brett Ortler. It is a biannual literary magazine that publishes a nearly 50/50 mix of LGBT and straight writers. The Lambda Literary Foundation (LLF) nurtures, celebrates, and preserves LGBT literature through programs that honor excellence, promote visibility and encourage development of emerging writers. Find LLF at www.lambdaliterary.org. Founded by Lawrence Schimel, the press began publishing books in 1997, with its Body Language imprint devoted to LGBT writers. They have published single-author collections from a diverse mix of queer writers such as Achy Obejas, Raymond Luczak, and Julie R. Enszer, as well as anthologies of queer writing such as the forthcoming Flamboyant: A Celebration of Jewish Gay Poetry and Milk and Honey: A Celebration of Jewish Lesbian Poetry. The purpose of The Publishing Triangle is to further the publication of books and other materials written by lesbian and gay authors or with lesbian and gay themes. Founded in 1988, The Publishing Triangle works to create support and a sense of community for lesbian and gay people in the publishing industry. We offer forums, as well as networking and social opportunities, for our members. In addition we sponsor programs to increase awareness of and appreciation for lesbian and gay literature. The mission of Sibling Rivalry Press is to develop, promote, and market underground artistic talent – those who don’t quite fit into the mainstream. In addition to books and chapbooks, they publish the quarterly magazine Assaracus, which features a substantial collection of work by ten gay poets in each issue. They are hosting an LGBT Poetry Showcase at the Rainbow Book Fair in New York City in March 2011. Sinister Wisdom is a multicultural lesbian literary & art journal by and for lesbians. Founded in 1976, the magazine is the oldest surviving lesbian literary journal, now more than 30 years in print. Sinister Wisdom is published quarterly in Berkeley, California and provides free subscriptions to incarcerated and institutionalized women as well as reduced-price subscriptions for lesbians with limited/fixed incomes. White Crane Institute promotes the development of healthy Gay men and healthy Gay community. White Crane Institute's goal is to foster the gathering and dissemination of information about the critical role sexuality and gender variation has played and continues to play in the development of cultural, spiritual and religious traditions and to provide a nurturing environment for the continuation and expansion of those explorations for the greater good of all society. For over 30 years, The Writer's Center has been a home for writers from all over the Washington metropolitan area. Our tradition of success is rooted in our vision, values, and mission. The Writer’s Center cultivates the creation, publication, presentation, and dissemination of literary work. We are an independent literary organization with a global reach, rooted in a dynamic community of writers. As one of the premier centers of our kind in the country, we believe the craft of writing is open to people of all backgrounds and ages. Writing is interdisciplinary and unique among the arts for its ability to touch on all aspects of the human experience. It enriches our lives and opens doors to knowledge and understanding. Poor authors. As if we weren't busy enough building a website, blogging, Facebooking, maintaining an email list, and oh yeah...writing...now our publishers are asking us to make book trailers. The good ones can be funny, heartbreaking, provocative, or visually stunning. The bad ones look like something slapped together for an tenth-grade presentation on Jane Eyre. The million-dollar question: Will a trailer sell books? And my honest answer: No. But a trailer can generate conversation among fellow writers, garner secondary blog and media coverage, and create reading opportunities. All THAT can sell books. Teachers have mentioned the value of being able to show their students the videos for my poems, which has lead to scheduling classroom visits. Maybe you're a nonfiction author who would make a fabulous talk-show guest. A trailer can showcase that. And sometimes a novel whose hook relies on tone can capture that in a trailer far more effectively than in dry jacket copy. Plus, you might really enjoy the creative exercise of making a trailer. It's a good way to burn off the time between turning in a manuscript to your publisher and seeing it in print. You can make a trailer without breaking your budget. First, make a plan for 1-3 minute video. Storyboard it. Fiction writers, imagine your book has been made into a movie. How would you tease the reader's interest in the plot, without revealing the ending? Poets, approach this as if you're making a music video for a poem, ideally one that is representative of the tone of your collection. Nonfiction writers,don't try to prove the book's breadth of information or depth of research. Center on one compelling figure or theme. In my case I decided to play up the memoir element--my story--rather than the science of food allergies. Now, move on to the technical production. Check your computer for free video editing programs. Most Windows systems come with some variation on Microsoft Live MovieMaker. Most Apple systems come with iMovie. You can also use online programs such as Animoto and xtranormal. Make sure any music used in a soundtrack is royalty free; Kevin MacLeod's website, Incompetech, is a great place to start. If you're recording a voiceover, minimize background noise. As for images, you can scan your own photos, get inexpensive commercial options from iStockphoto.com, or scour free sites such as the Library of Congress's archive. Try to mix in a few moving images--also for purchase on iStockphoto, or self-recorded with a digital camera. Whatever you choose, be sure to keep the resolution of your images consistently high. Nothing makes a trailer look cheap like fuzzy, pixelated graphics. And don't forget to include your book's cover--once at the beginning (in case someone stops watching midway through), and once more at the end. I won't get into the nitty-gritty details of recording and editing. But you can find plenty of tips on the web, including my blog Chicks Dig Poetry (search for "animated poems"). Good luck! 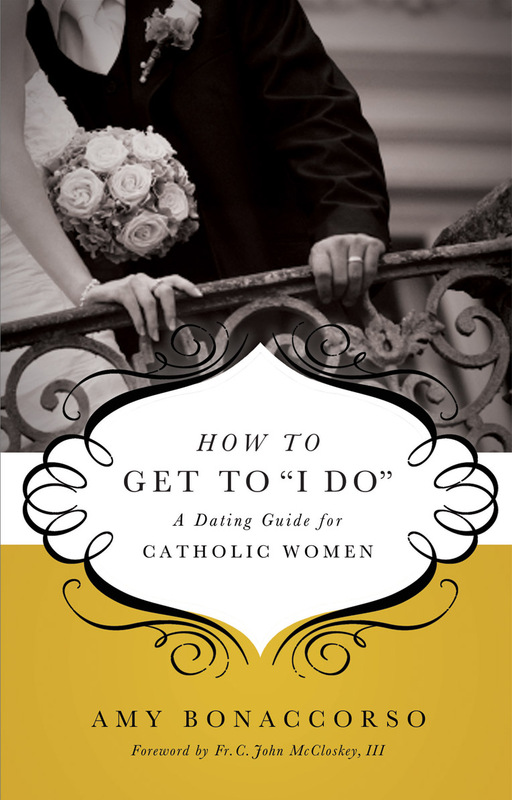 I’m one of the first married women in recent memory to write a dating guide for Catholics: How to Get to 'I Do' - A Dating Guide for Catholic Women. It is based on my experiences dating in the DC area. The dating guides I read before had credibility problems. For instance, some advice was dispensed by priests and lifelong singles. You can’t sing the blues if you haven’t had your heart broken, and they were telling others how to handle relationships in the modern era when they weren’t married themselves. My book and articles are intended to inject a more realistic perspective into the highly idealized world of Catholic dating. The need for such a book seemed obvious, but I had to be strategic about getting a contract. My road to publication was paved with a year of platform building. I launched a blog in 2008 and wrote articles to test my audience. Those early efforts earned warm support from Catholicmatch.com. However, literary agents at the American Independent Writers Conference that year did not understand this book, even when it was pitched for “Christian” women. I took the rejections hard, and laid off the book concept for nearly a year. In 2009, I decided that I’d give myself a finished book proposal as a birthday present. I worked indoors during some lovely spring days. When I queried, I targeted small religious publishers. An offer came within a few weeks. I used an attorney for contract negotiation support, but not an agent. My muses handed me this book in about six months. It was both exhilarating and brutal. Some nights, I put my head down, and then had to get up to write because my drill sergeant muses would not shut up and let me sleep! My best ideas came that way, so sometimes it’s worth it to obey your marching orders. The book is getting international attention and I am regularly on radio programs. The eBook edition is the first for my publisher. Some of my ideas are “new” for the Catholic scene, and have highlighted the tension between faith and allowing writers to explore, question, and introduce fresh ideas to cyclical or dogmatic discussions. I prefer reading about musicians and spirituality, and am currently reading The Artist’s Way – A Spiritual Path to Higher Creativity by Julia Cameron. My second book will be a candid guide for job seekers and careerists on navigating the federal government. Amy Bonaccorso was born in Washington DC and grew up in the metro area. She is a senior communications professional with the federal government and holds a BA in History from George Mason University and MA in Library Science from the Catholic University of America. 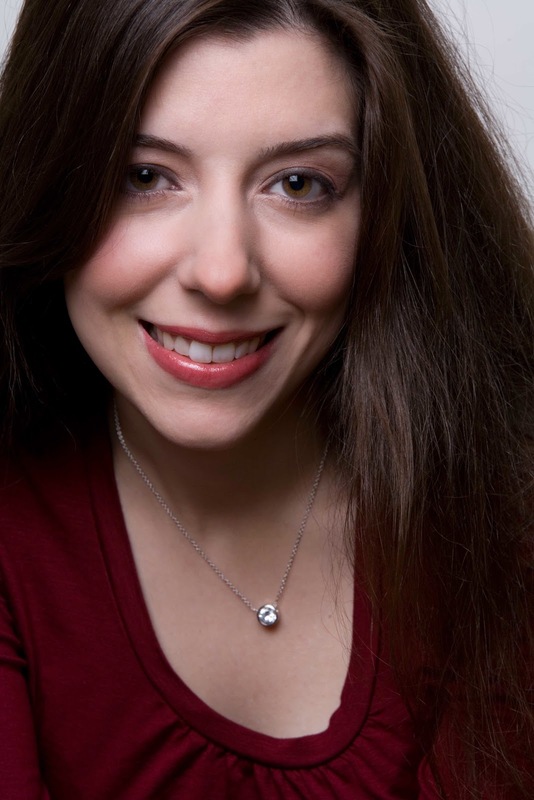 She is the author of numerous articles and the book, How to Get to ‘I Do’ – A Dating Guide for Catholic Women (Servant Books). Amy likes her Apple Macbook, Starbucks, fine dining, cats, cars, vinyl records, and has an interest in health and wellness. 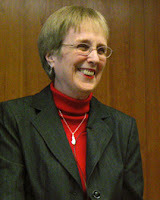 You can learn more about her and her writing at www.amybonaccorso.com or by reading about her in the DC Catholic Standard. By Melanie Figg, who leads an Introduction to Poetry workshop, which begins February 2nd. Confession: I haven’t written a poem in over a year. I’ve taught writing for over 20 years, and been a writer longer than that. In the past year, I’ve moved across country, gotten married, grappled with DC’s astounding pollen count, become a stepmother to two small boys. You could say I’m busy adjusting, or still in shock, or lousy with a schedule, but whatever: I haven’t been writing. And a writer who doesn’t write becomes pretty cranky, and doubtful. Trained as a writer, I started this article by researching what other writers say about doubt to steal what they said—since I’m not writing. I stole this article’s title from one of the greatest poems about despair by Gerard Manley Hopkins. “Carrion Comfort” starts out gorgeously defiant (“Not, I'll not, carrion comfort, Despair, not feast on thee…”) and continues to stutter and rage as the poet doubts himself and his God. Ultimately, of course, any struggle with doubt is evidence of faith. And faith is something that every writer needs to cultivate, insist upon, fight for—faith in oneself, faith in routine, faith in the fickle habits of The Imagination, faith in the redemptive power of poetry. I haven’t been writing, so, as a poet who makes meaning out of nothing, I’ve been doubting myself and the entire enterprise (like Hopkins! ): why is writer’s block not like other dry spells? When you’re going through long stretches of celibacy (of your own volition or otherwise), you rarely doubt your sexuality—you still know whether you’re straight or gay. Content doesn’t trump form. And yet, how hard it’s been for me to not be writing. This lack of task has called my entire identity of “poet” into question. I can’t easily sit with this conclusion, so, since I haven’t been writing, I look up more inspirational quotes. Blah, blah, blah until finally something clicks: “In writing, there is first a creating stage—a time you look for ideas, you explore, you cast around for what you want to say. Like the first phase of building, this creating stage is full of possibilities.” Ralph Waldo Emerson, that giant American, comforts me with The Long View, and like any good teacher, dissolves doubt and inspires action. Doubt takes over when writer’s block becomes the norm, when practice is discarded for bad insights. Writer’s block is constant and relentless (the ocean vs. your sand castle) and is beaten back only by a writer’s tenacity, commitment to routine, and surrender to the dull drudgery of sitting down and writing no matter how awful the results. It’s the nature of the beast, I tell my students—writer’s block is no biggie, just something to acknowledge but not feed, ignore but not resist. Or else it grows and takes over, moves from a bad habit to a mindset (Doubt)—with only one cure: write. Melanie Figg recently moved from the Twin Cities, where she taught creative writing at the Loft Literary Center and worked at Graywolf Press. She now lives in Silver Spring and works at The Theatre Lab in DC. She has won many awards and fellowships for her poetry, and been published in The Iowa Review, LIT, MARGIE, Colorado Review and other journals. Her first manuscript, “Monarch,” has been a finalist for the Walt Whitman Award, the Agnes Lynch Starrett Prize, the Tupelo Prize, and three other national competitions, and her work has won numerous fellowships from the McKnight Foundation, the Anderson Center, the Jerome Foundation, and others. Melanie has a poem about faith (and doubt) that will appear in the Spring/Summer 2011 issue of Poet Lore. She is excited to begin teaching at The Writer’s Center and her upcoming classes are Introduction to Poetry (Feb. 2 – March 23) and Writing from the Visual Arts (April 5 – May 24). Sign up and have fun!